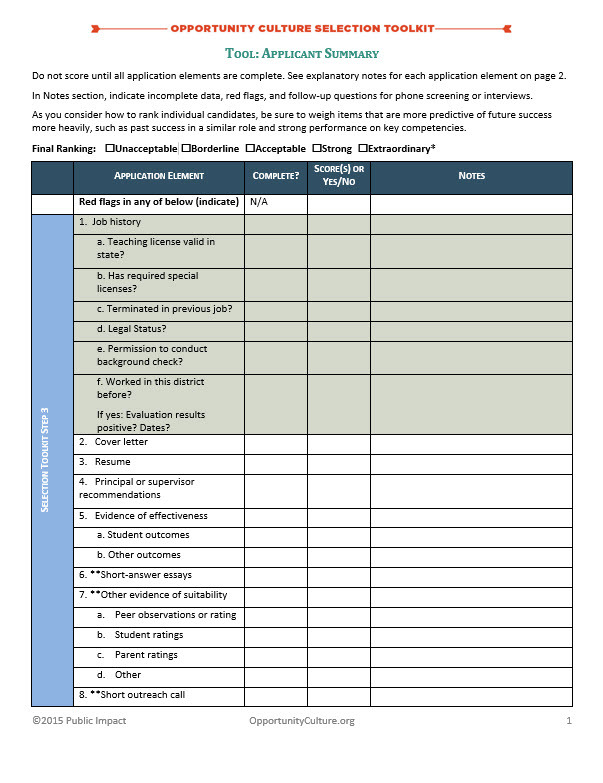 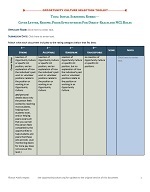 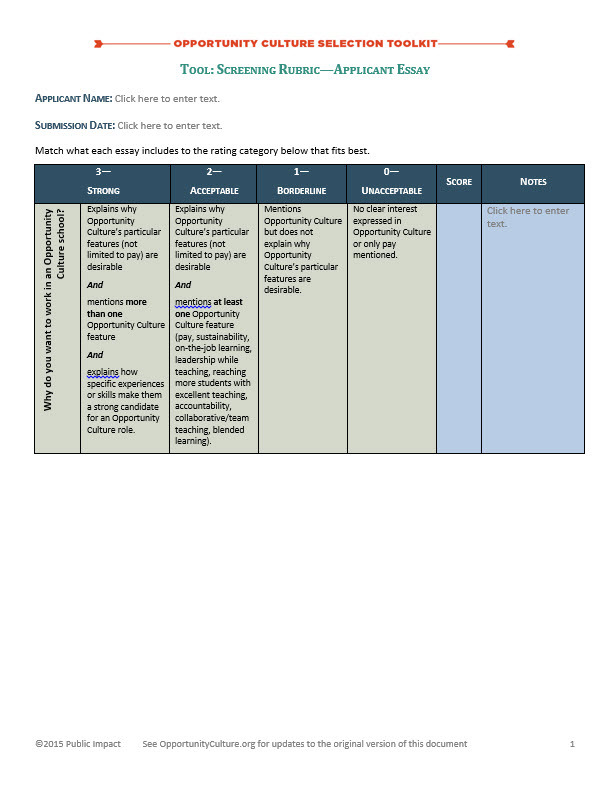 This toolkit consists of an action planner and its related tools. 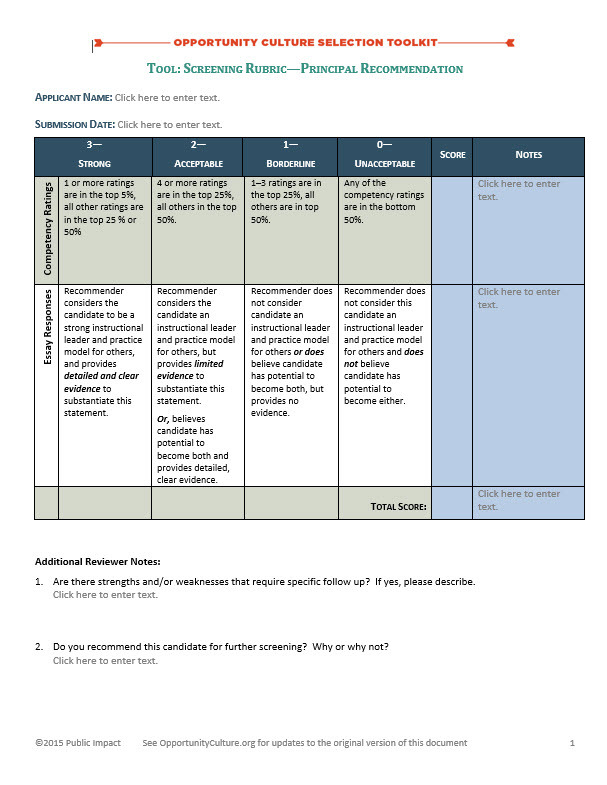 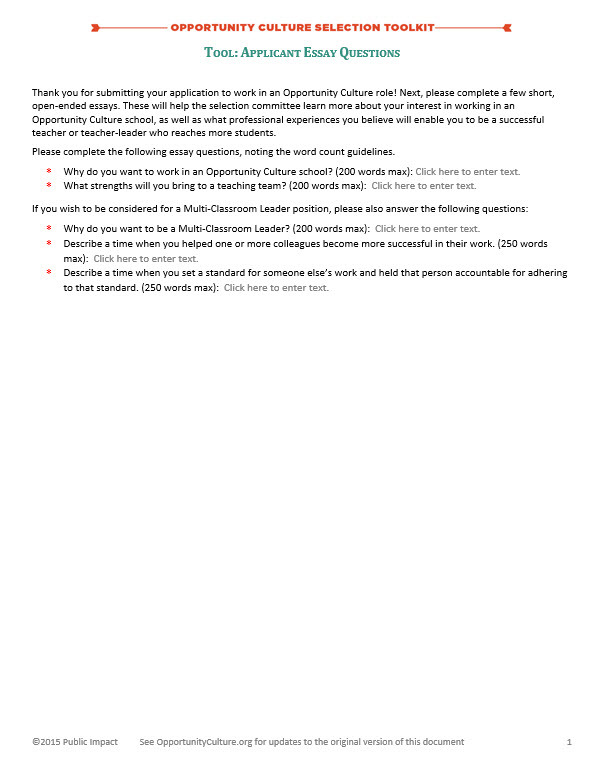 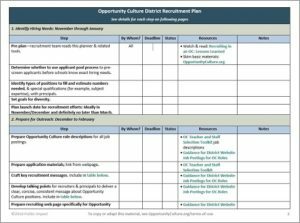 Click to open the Selection Action Planner for Districts. 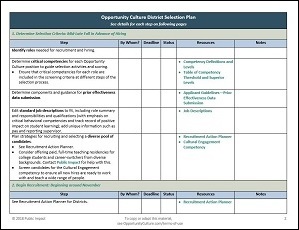 The planner and tools guide district, school, and charter management organization leaders in selecting teachers and staff members for Opportunity Culture roles, which require new behaviors and skills. 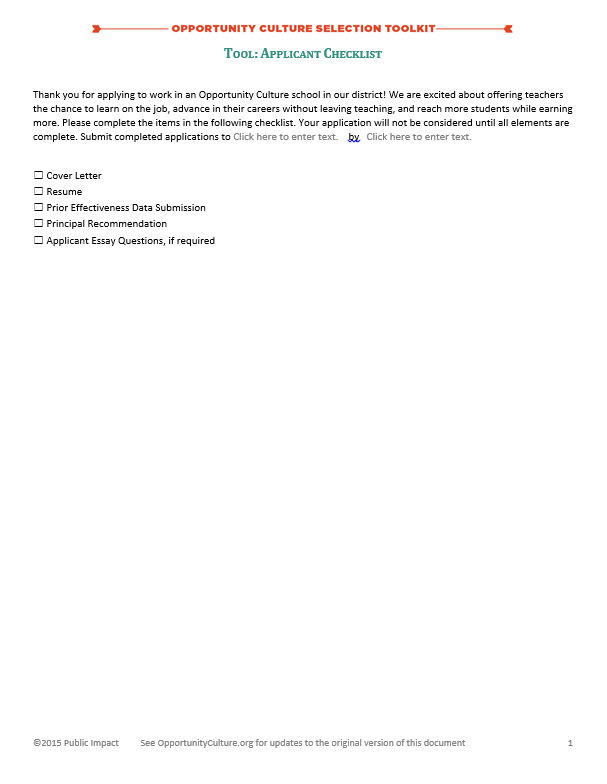 The planner walks users through each step of selecting candidates, explaining the considerations for each and providing links to relevant tools and resources. 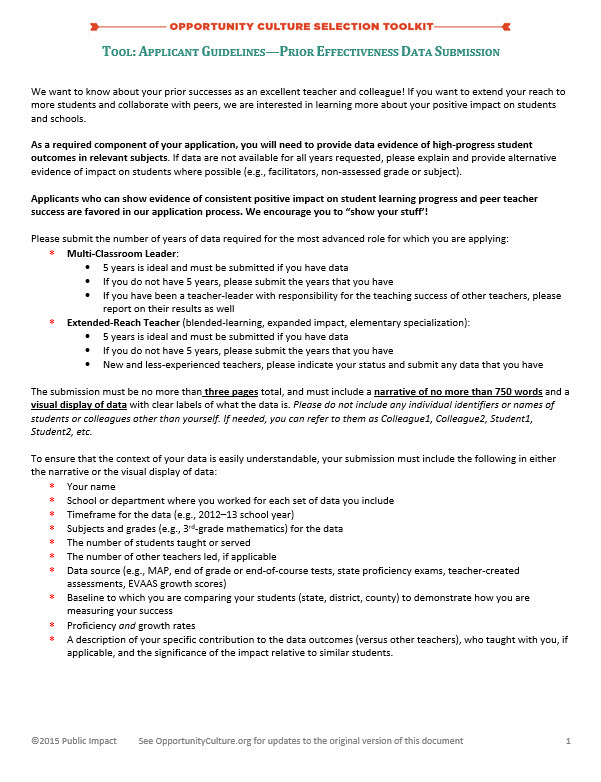 If your district, school or network uses selection methods not included here that you find to be very effective, please let our team know here.